We’re a long established marine sales and service center just minutes from the shores of Lake Wanaka. Proudly Otago’s only combined certified sales and service centre for Mercury, Sea-Doo and Evinrude. We also service Johnson, Yamaha, Volvo, Honda, Kawasaki and Suzuki – in fact any brand of marine motor or motorcycle that you may have. We take pride in offering a high quality, value for money service and our staff are highly skilled and trained in all applications. Whether you need a repair, general service or advice on your marine application we are here to help so get in touch today. 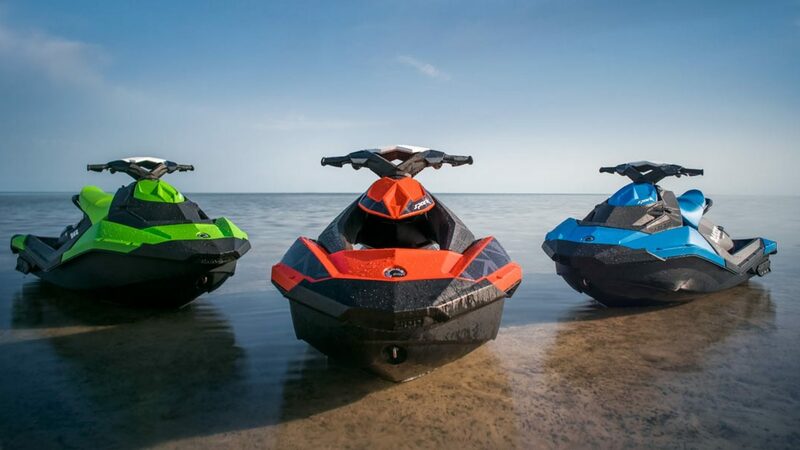 We offer a wide range of quality new and second hand boats, outboards, PWC’s and motorcycles. We can service or repair any make of outboard, inboard, jet boat or PWC that you may have. We stock a huge range of watersports and marine safety equipment in store including ski’s, waterboards, life jackets and more. In store we have stock all marine and motorcycle oils and lubricants for any 2 or 4 stroke engine. We have in store a wide range of marine parts and accessories and we can source any parts that you may need. We have a wide range of hunting and fishing accessories inlacing clothing as well as ammunition. Get in store for up to 30% off all of our watersports gear. The sale includes all lifejackets, ski’s, wakeboards, ski ropes, towables, wetsuits and watersports accessories. Sale Ends Soon – Get in store today. "Great service for 100 hour boat service which only requires a phone call to Ian who then organises pick up and return delivery when it suits them. Worry free for us and a call away if there's any problems. Fantastic!" "I have dealt with Wanaka Marine over the past 13 years, having purchased boat, motor and recently a jet ski. I always find them professional in their service and knowledge, and have always trusted them for the servicing of my vessels (including commercial vessel). With their first class team of mechanics, I know that the job is getting done properly"
"Just wanted to say thanks for fixing the jet boat that I over filled with oil. We’ve had the last 2 days on the water which has been fantastic and the boat is running as well as it ever has. The boat is so good - I’ll also be sure to have the annual service completed by you in Nov each year"